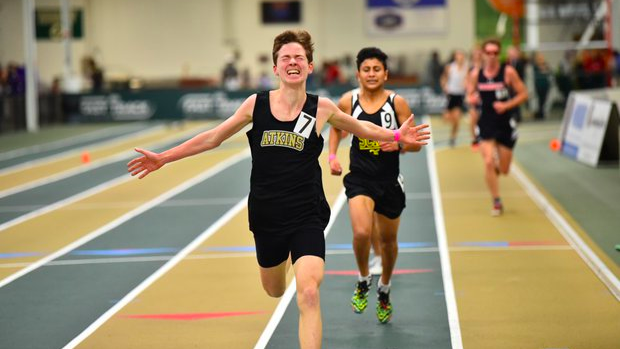 Coaches, don't forget the deadline for NCHSAA State Championship Registration closes this Saturday at 9 PM. Register athletes as soon as possible to ensure there are no errors with your athletes getting entered. If you have an athlete that met the standard in an event and the are competing again later this week where you hope for a faster seed time, go ahead and register them now. Before downloading entries we'll update seeds. So if you're coming into Saturday with a 6.54 and run a 6.50 the seed time or mark will be updated automatically after the deadline passes. If you have any issues or questions please email us ASAP so we can get it resolved at jason.creasy11@gmail.com. For races on Saturday we'll get results in as soon as possible for registration purposes. We'll be updated the Eastern High School Challenge results in our database throughout the meet.